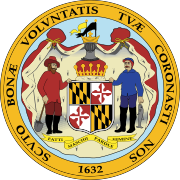 The 2010 United States Senate election in Maryland was held on November 2, 2010. Primary elections were held on September 14, 2010. Incumbent Democratic U.S. Senator Barbara Mikulski won re-election to a fifth term. According to Baltimore Sun columnist David Nitkin, Mikulski had indicated she planned to seek re-election to a fifth term. If Mikulski were to win re-election and serve the full term, she would tie Paul Sarbanes as the longest-serving senator in state history, and also becoming the longest-serving female senator in history, turning 80 years old in the process. On February 15, 2010, rumors began to circulate that Mikulski would not seek reelection; however, these were denied by Democratic sources soon after. She previously won senate elections in 1986, 1992, 1998, and 2004 by margins of 21, 42, 41 and 31 percentage points, respectively. Additionally, in the general election, state parties are expected to focus much of their attention on the seats of Governor Martin O'Malley and first-term Congressman Frank Kratovil, the latter of whom won a surprise victory in a conservative district of the state. Nitkin and Larry Sabato's Crystal Ball consider her seat as overwhelmingly "safe." Natasha Pettigrew (deceased) was the Green Party candidate. On September 19, while cycling, Pettigrew was hit by an SUV. Her mother, Kenniss Henry, was chosen by the Green Party to replace Pettigrew on the ballot. Dr. Eric Wargotz released two television ads, in the first he created and introduced the term "insidersaurus": comparing Mikulski to a dinosaur by calling her a political "insidersaurus" for being in Washington for over thirty years (a long-term political incumbent.) A second ad showed a hammer hitting a brick wall, breaking it down and citing criticisms of Mikulski's record as a U.S. Senator. Mikulski released positive advertisements emphasizing education and job creation. Despite repeated requests by the Eric Wargotz Campaign formal debate(s) was declined by the incumbent U.S. Senator. The two candidates did appear together on Maryland Public Television (MPT) fielding common questions posed to both by the moderator but no formal debate was held. Eric Wargotz (R) $1,210,327 $743,392 $466,931 $459,600 $-7331. ^ a b c Nitkin, David (November 12, 2008). "Smooth sailing for Mikulski". Maryland Politics Blog. Baltimore Sun. Retrieved January 9, 2009. ^ Geraghty, Jim (February 15, 2010). "Let's Get Real: Barbara Mikulski Does Not Fear a Loss This Year". National Review. Retrieved February 16, 2010. ^ Hockstader, Lee (February 16, 2010). "Mikulski another Dem retirement? Not likely". The Washington Post. Retrieved February 16, 2010. ^ "Senate 2010: A three-peat for Democrats or Comeback for the GOP?". Crystal Ball. February 19, 2009. Archived from the original on January 7, 2010. ^ a b "Maryland Senate Primary Results". Maryland State Board of Elections. September 17, 2010. Retrieved September 17, 2010. ^ Pershing, Ben; Dropp, Kyle (October 4, 2010). "Mikulski leads despite drop in popularity". The Washington Post. ^ "Senate". Cook Political Report. Retrieved October 19, 2010. ^ "Senate Ratings". Rothenberg Political Report. Retrieved October 19, 2010. ^ "Battle for the Senate". RealClearPolitics. Retrieved October 19, 2010. ^ "2010 Senate Ratings". Sabato's Crystal Ball. Retrieved October 19, 2010. ^ "Race Ratings Chart: Senate". CQ Politics. Archived from the original on October 28, 2010. Retrieved October 19, 2010. ^ "2010 House and Senate Campaign Finance for Maryland". fec.gov. Retrieved May 1, 2010. This page was last edited on 18 February 2019, at 12:54 (UTC).